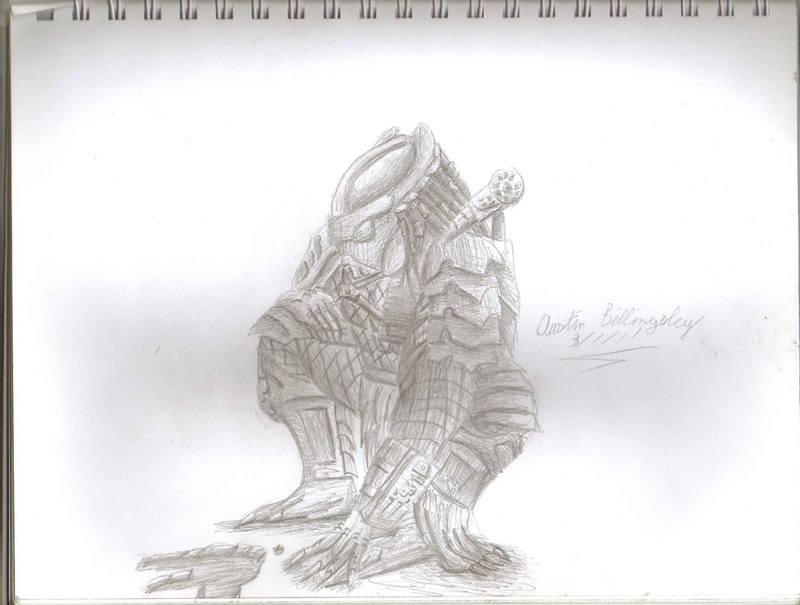 I decided to draw my fan-made Predator again, this time identifying a footprint of prey it's tracking down. I do like how he came out in this sketch. The proportions actually look spot on.